Is a One-Question Survey the Key to Better Customer Service? It’s important to get feedback from your customers on how you’re performing. 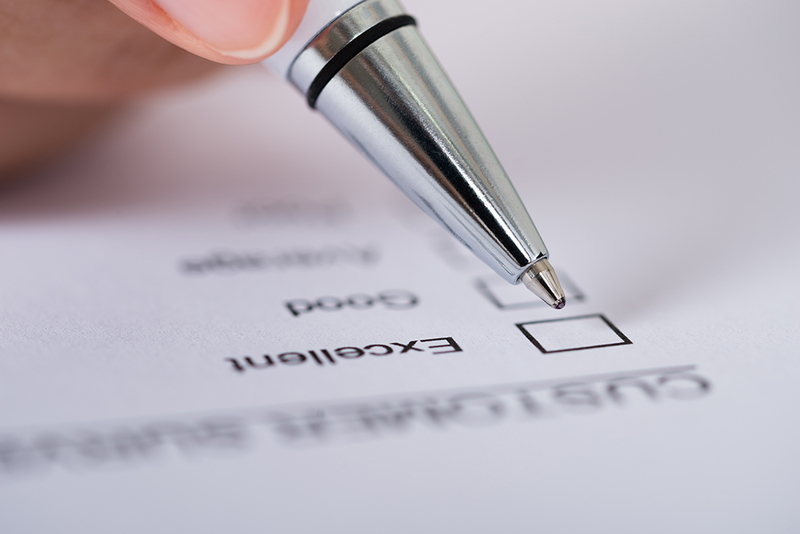 Can you get meaningful input with just one survey question? You buy a product and quickly realize there’s a problem. When you call in to the brand’s customer service center, before you’re connected with an agent, the company asks you to stay on the phone after your call to complete a one-question survey. At the end of the call, the brand may ask you to rate the service you received, whether you would recommend the brand to your friends, or whether your issue was completely resolved. This increasingly familiar scenario is highlighting an emerging trend: the one-question customer service survey. Feedback and customer service: As customer service finds itself on the front lines of delivering brand customer experience, executives and management are constantly looking for feedback. This serves two purposes. One is to develop a set of concrete metrics to show performance and impact. Second, when brands are found wanting, detailed feedback directly from customers can provide a clear and actionable road map for brands to take—whether they’re focused on reducing wait times or improving the training their customer service reps receive. The reality of getting feedback from busy customers: Organizations that are hungry for customer feedback have to put a plan together within the context of their customers’ busy schedules. While customers who are very happy or very dissatisfied may naturally self-select to speak up, it can often be more difficult to gather feedback from the average customer. One of the challenges in collecting this feedback is the length of surveys. Customers may be willing to answer a couple of short questions or even give you a 5-minute interview. But anything that takes longer has to offer a clear cost-benefit trade-off in their analysis to get them to participate. Thus, the art of the micro survey—or gathering customer feedback in shorts chunks—has emerged. Asking the right question: When you only ask one question, it’s important to make sure it’s the right one. If you are thinking about implementing a one-sentence survey, it’s important to tie it back to your most important goals. Are you trying to establish levels of customer satisfaction or gather specific feedback on your contact center’s performance? When you define a clear objective, it is easier to target a single question in such a way that you gather the results and data that can directly improve your strategy. Even the busiest customers will often take the time to answer a very short survey. If you have been struggling to effectively solicit input on your customer service performance, consider experimenting with a one-question survey to establish a baseline.